Ahmad Khan Rahami, 28, has been charged with five counts of attempted murder of a law enforcement officer after an exchange of gunfire with police today, acting Union County Prosecutor Grace H. Park announced Monday. Rahami also is charged with second-degree unlawful possession of a weapon and second-degree possession of a weapon for an unlawful purpose. 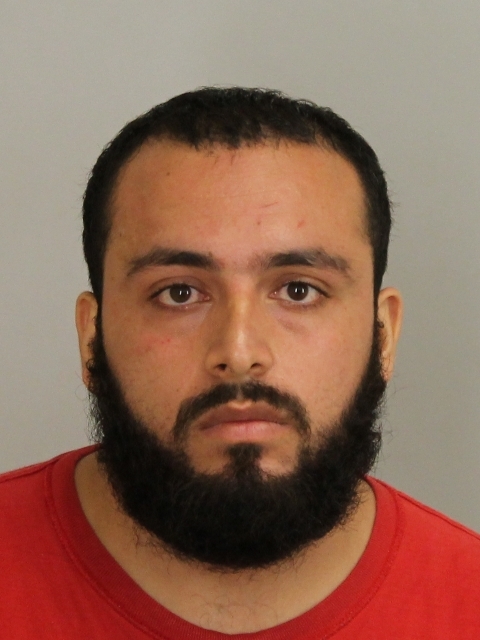 At approximately 10:30 a.m. on Monday morning, a uniformed Linden police officer approached a man later identified as Rahami outside a bar on East Elizabeth Avenue, according to the investigation. At that time, Rahami immediately produced a handgun and shot the officer in the torso, striking him in his protective vest. Additional patrol officers responding to the scene engaged Rahami in an exchange of gunfire that ended when Rahami was shot multiple times outside of an auto repair shop on East Elizabeth Avenue, several blocks west of where he was initially approached. A handgun was recovered from Rahami at the scene. Rahami was immediately transported to a local hospital for treatment and has since undergone surgery. Neither the police officer who was struck by gunfire nor a second officer who was struck in the head by a fragment of a bullet suffered life-threatening injuries. Bail for Rahami was set at $5.2 million by state Superior Court Judge Regina Caulfield. This defendant was wanted for questioning in a federal investigation being led by the FBI regarding explosive devices found and detonated over the weekend in New Jersey and New York City. That investigation is continuing, and any media inquiries regarding it should be referred to the FBI’s Newark office at 973-792-3020. Convictions on first-degree criminal charges are commonly individually punishable by 10 to 20 years in state prison, while second-degree charges typically result in terms of 5 to 10 years.